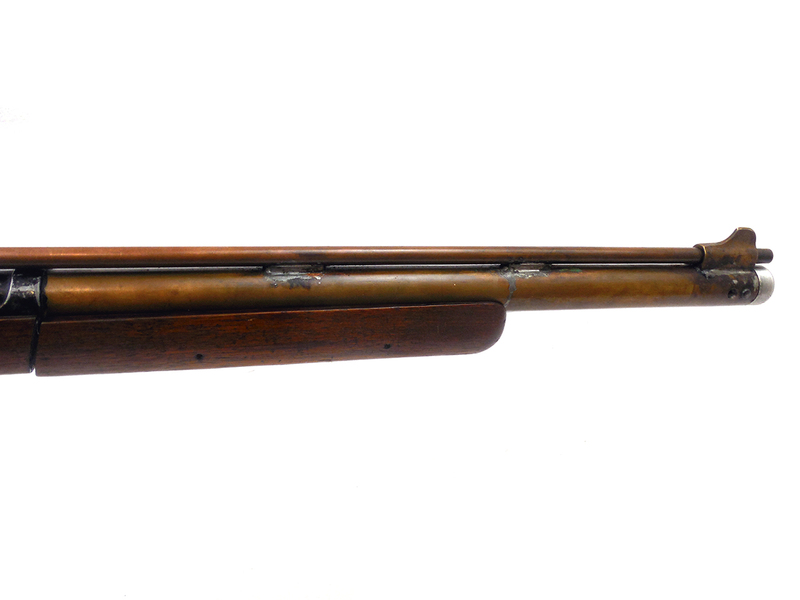 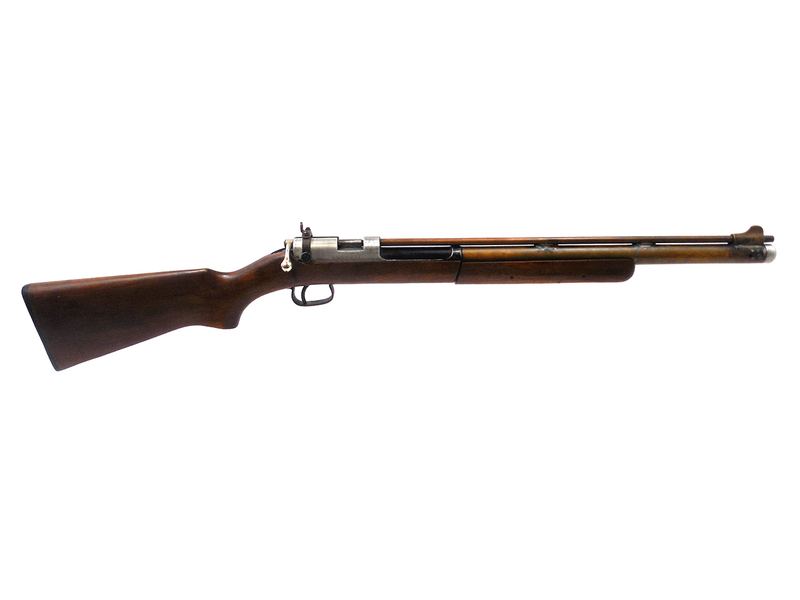 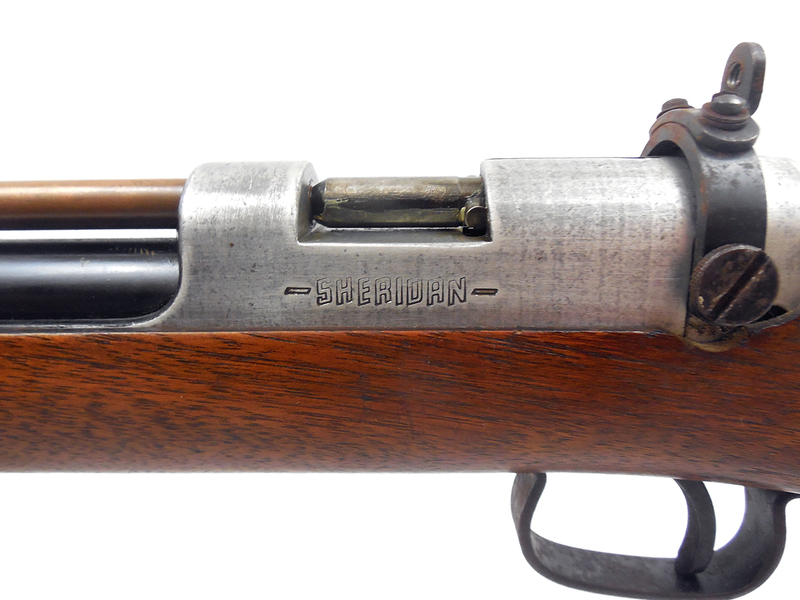 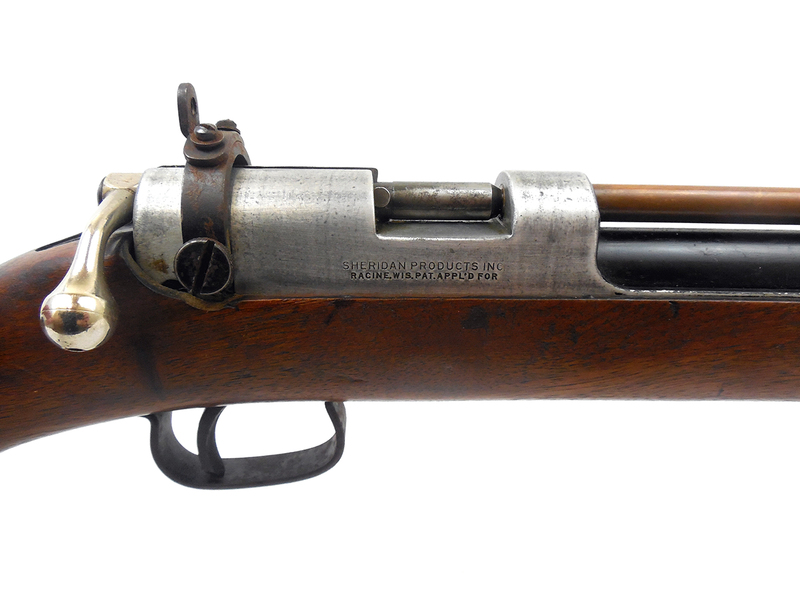 The Sheridan Model B is a very rare and highly collectable airgun. 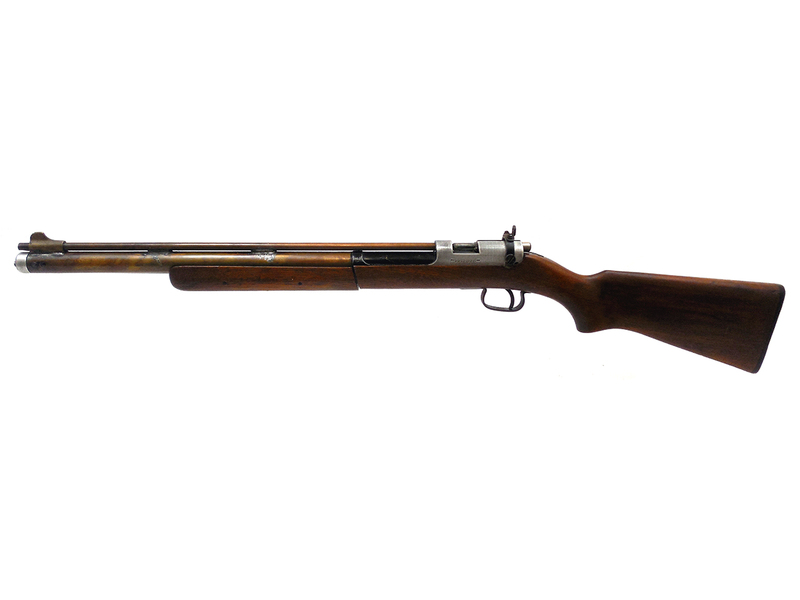 They’re a .20 caliber, multi-pump pneumatic air rifle with a walnut stock and black painted finish. 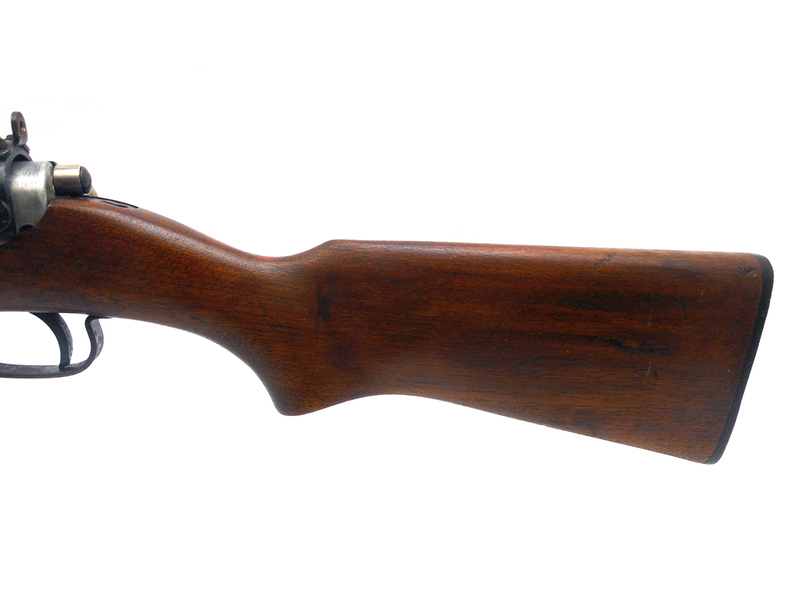 They were manufactured between 1948 and 1951. 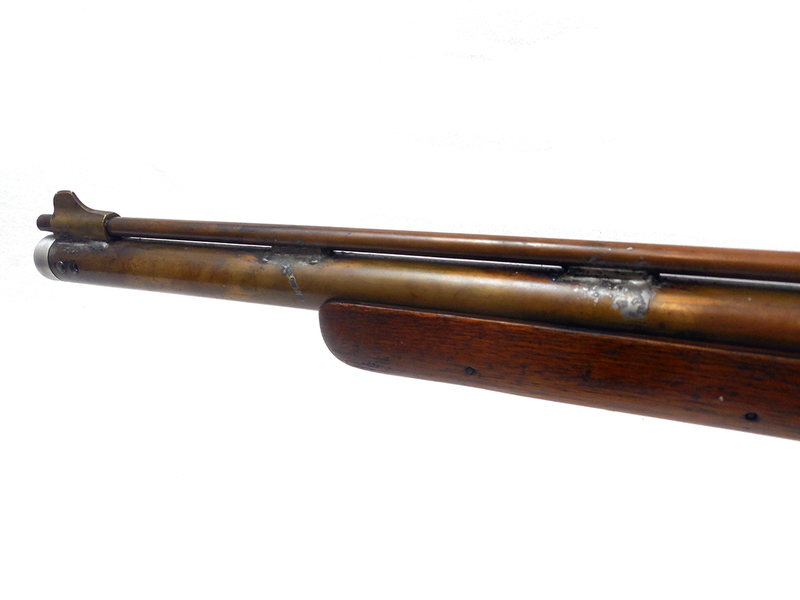 There were only just over 1000 of these ever made. 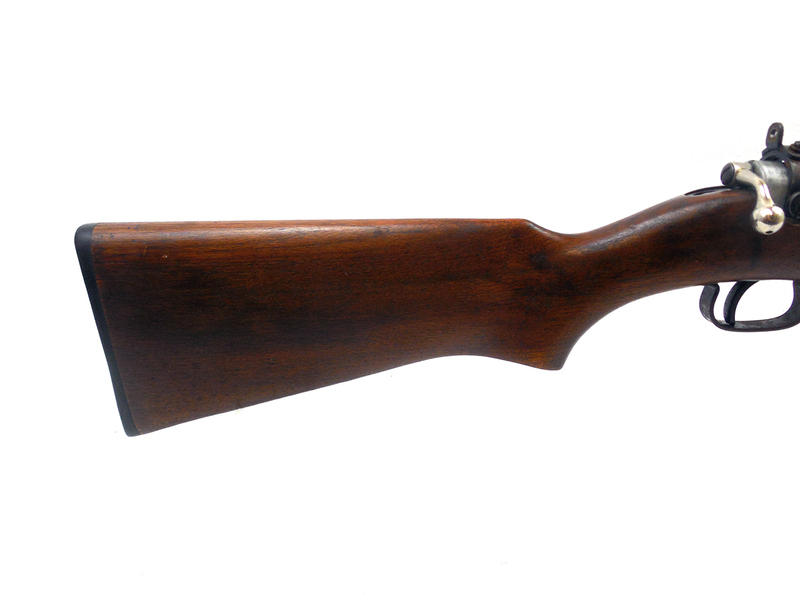 The rear sight insert and safety are missing on this one, and it does not shoot. 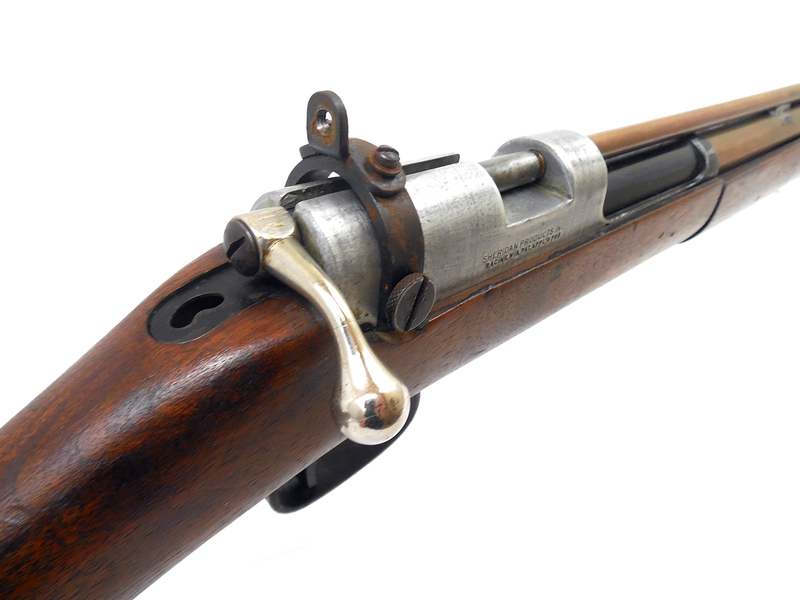 The stock and forearm have only general wear, and look good. 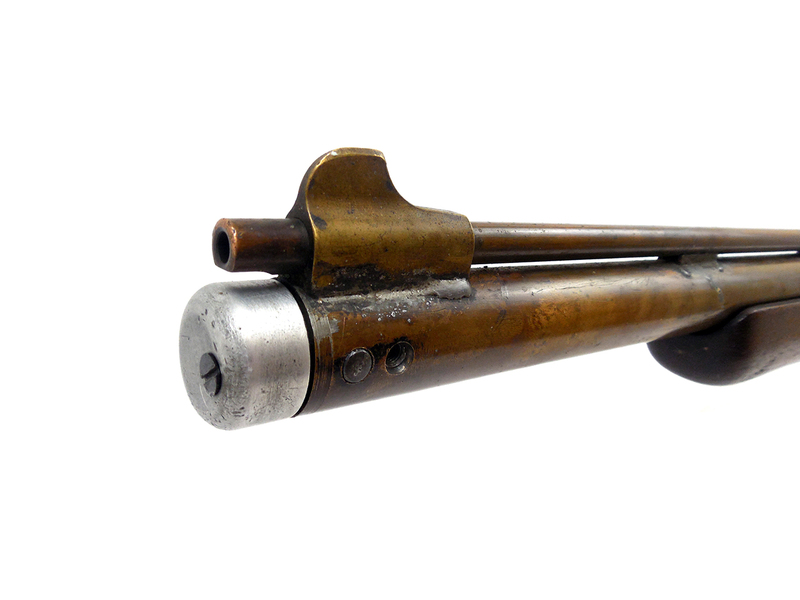 The barrel has been soldered, and original black painted finish is mostly removed revealing the brass underneath.